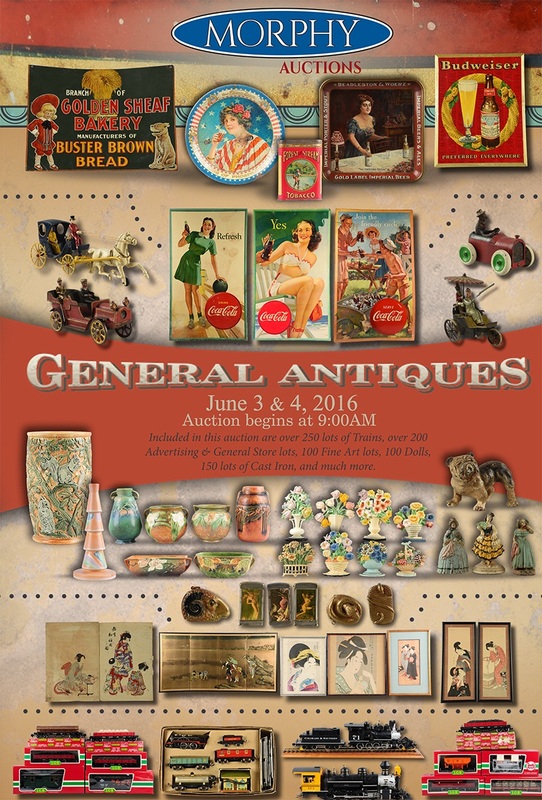 Morphy’s June 3 & 4 auction includes 1,600+ lots of general antiques and advertising pieces. Collectors and enthusiasts will find a variety of unique items.Truly something for every collector can be found in this 2-day sale. This is a great auction for a wide variety of collecting categories!